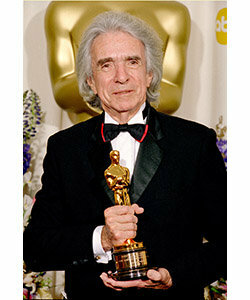 Jean Hersholt Humantitarian Award winner Arthur Hiller in 2001 (74th). Oscar®-nominated director and former Academy president Arthur Hiller died today in Los Angeles of natural causes. He was 92. A native of Canada, Hiller enjoyed a motion picture career that spanned five decades. His credits include “The Americanization of Emily,” “Love Story” (for which he received an Oscar nomination), “The Hospital,” “The In-Laws,” “Silver Streak” and “The Man in the Glass Booth.” In 2001 he was honored with the Academy’s Jean Hersholt Humanitarian Award for his philanthropic commitment to numerous charitable organizations, educational institutions and civil rights groups. A member and longtime governor of the Directors Branch, Hiller served as Academy president from 1993 to 1997. He also served as president of the Directors Guild of America from 1989 to 1993. Hiller is survived by his daughter, Erica Hiller Carpenter, his son, Henryk, and five grandchildren. Gwen Hiller, his wife of 68 years, passed away in June.